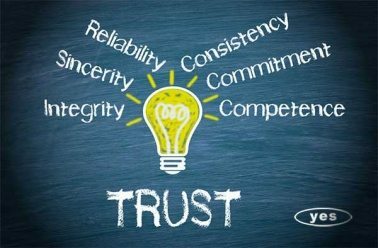 Trust is what binds both the staffing agency and client. Somewhere in the middle are the employees that help forge that bond. In the world of staffing trust plays a crucial part not only with the clients but with the employees as well. When we interview candidates they are trusting that we are doing the absolute best to help them find something. As staffing professional we need to always make sure that we are focused on what their needs are, what they’ve done, and what they are looking for. If we don’t show interest and aren’t engaged trust can be broken. Not only does this hurt the employee it hurts future candidates. Many people find out about our staffing agency via word-of-mouth marketing, or our employees referring friends and family. 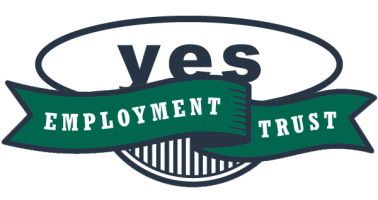 We’ve heard it so many times in the industry that jobseekers come to YES because they are treated differently. We have various on-site locations to help service a specific client. There are other staffing agencies that also help work with these clients. It’s such a nice reminder when applicants come in letting us know how well we treat them as opposed to other agencies. When someone is told they do something well it drives them to do even better. Building trust with clients is very hard to do. Even when you gain that trust you have to continue to build it and cultivate it. Clients are ever changing. They change Managers and Supervisors on a regular basis and even the promises or expectations that were given when an account is set up can be lost because of HR roles or changes in the organization. It has been said that trust is hard to gain and easy to lose. Clients trust that staffing agencies are fulfilling their needs. These needs are not only filling any open position with the correct person. It’s making sure that the employee has complete credentialing done before they step into the building. This includes making sure that the employee passes drug tests, E Verify and even their background matrix. Making sure that it’s the right employee for the job takes a lot of trust. It’s ultimately the employees that are making the employers the money. They are a key role in building and sustaining the business. A lot of the time we pride ourselves in not just staffing clients with employees but being a useful resource to them. This in return helps build trust between the agency and the client. It shows that we genuinely care about their success. Trust is what binds us and if that’s broken then the system is broken. Rebuilding is much harder then sustaining. I love what I do and I love that I can grow with these employees and clients. Trusting employees is hard to do in the industry. We get burnt with a lot of empty promises. When we see trust carry out and it pay dividends it’s what makes what we do so worth it.